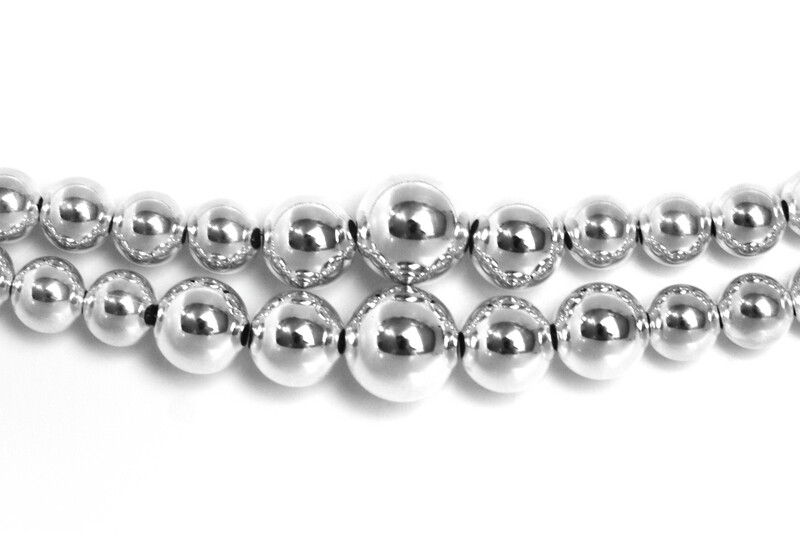 Beautiful and elegant double row of sterling silver beads, between 6mm to 12mm. 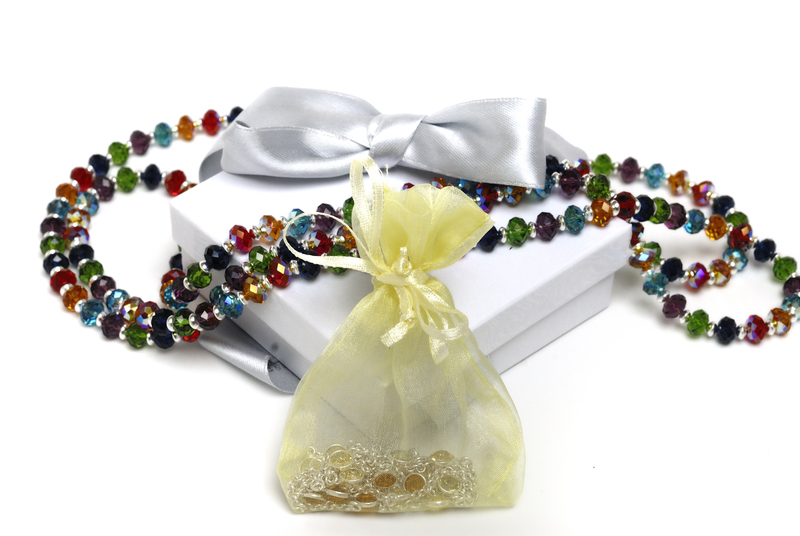 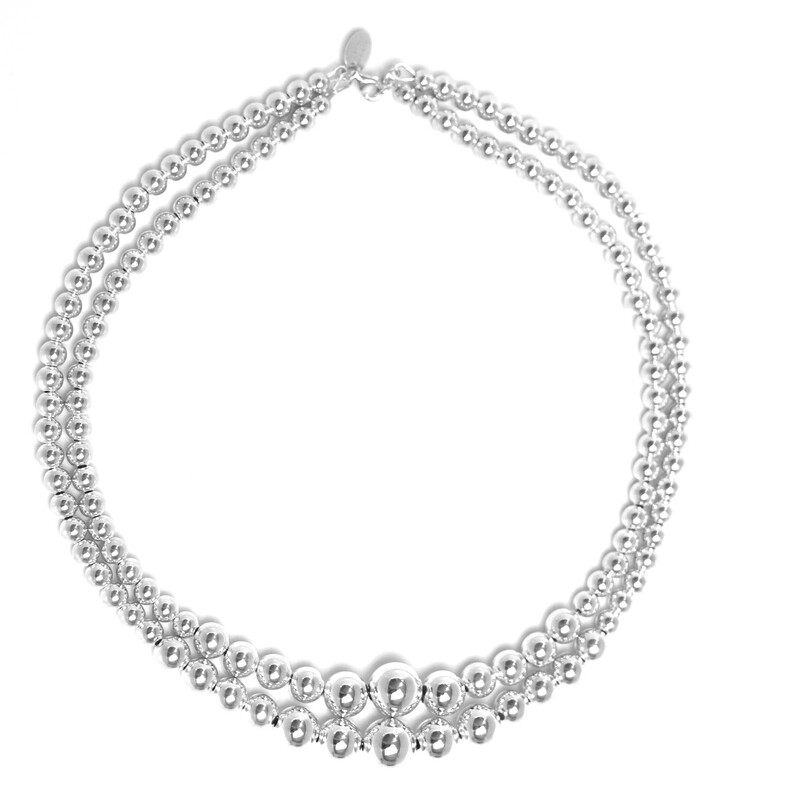 This necklace is a classic and will make any outfit outstand in the crowd! 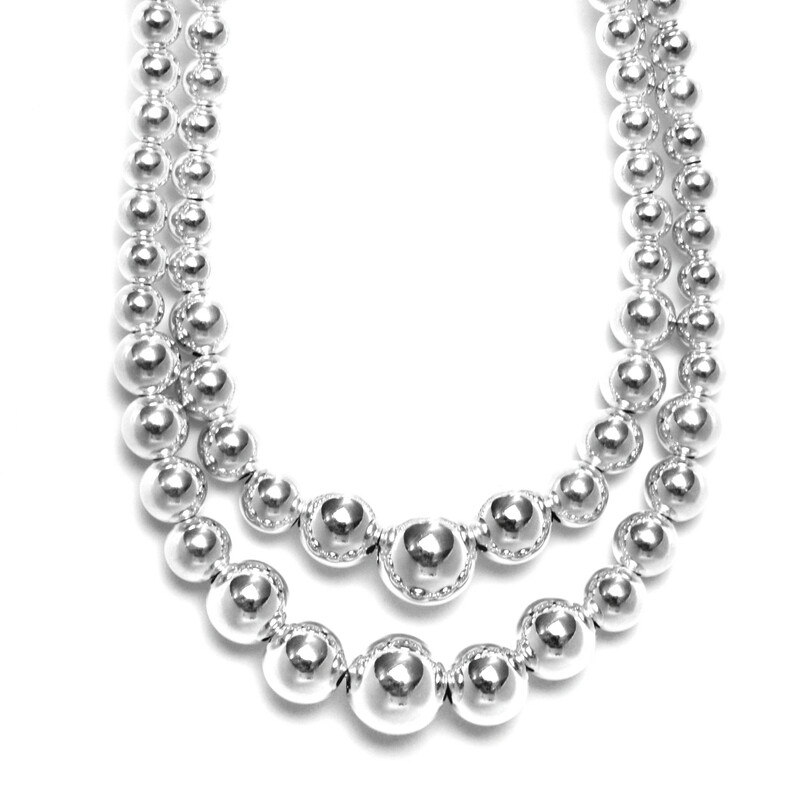 Perfect with a little black dress or simply with a white shirt, this is a versatile fashion item!